On June 30, 1881, Fred A. Gildersleeve was born in Boulder, Colorado. Soon thereafter, the family moved and he was mostly raised in Kirksville, Missouri. His sister, Jessie Ellen, was a pioneer in the field of medicine as one of the first female practitioners in osteopathy. Early on, Gildersleeve was a horse jockey, competing all over Illinois. He graduated from the Model Normal School of Kirksville in June of 1896. Two years later, perhaps the most important thing to ever happen to Gildersleeve took place. His mother purchased him a 1898 Kodak box camera. For a quarter a piece, Gildersleeve sold images of classmates to pay for his continued education in the burgeoning art of photography. He also found work with the Sabine Bros. Store in the town of Belvidere. Gildersleeve studied photography at the Illinois College of Photography in Effingham. During his late teens and early 20s, he suffered from heat exhaustion on multiple occasions. 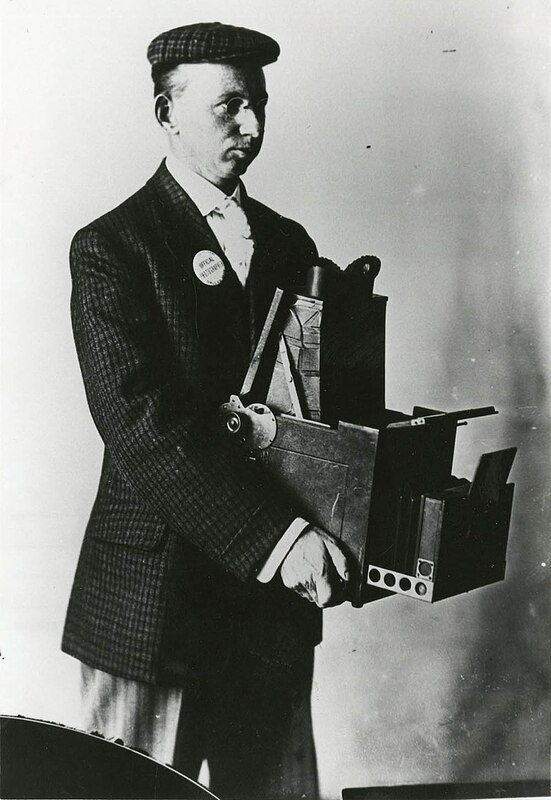 Following his time at college in Effingham, Gildersleeve went to Chicago before coming to Waco in 1905 where he opened his own photography shop. His early years were marked by the mentorship he received from C.W. Burdsal. 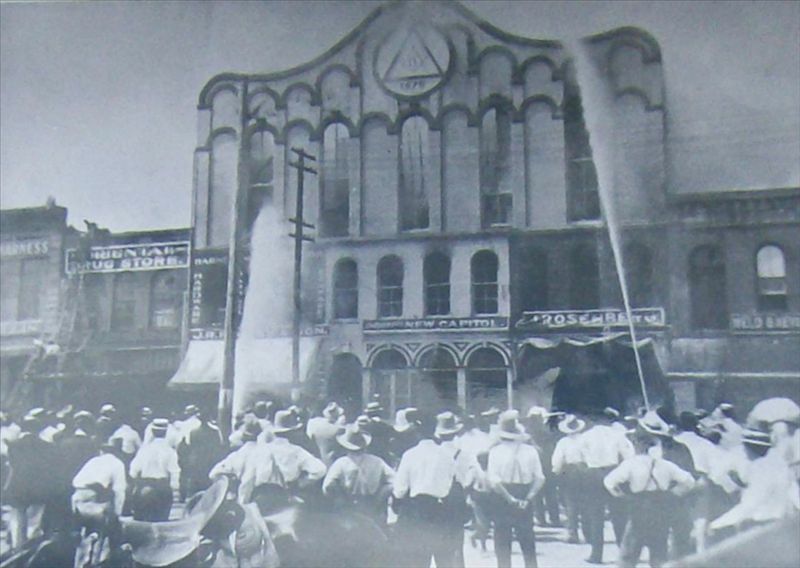 Gildy was still growing in reputation in 1907 when he snapped a photograph of Waco Masonic Lodge’s building on fire in the downtown Square. On December 24, 1909, Gildersleeve married Florence Boyd while in Arkansas and the two made their home at 1311 Franklin Avenue in Waco. His photography business was already flourishing and he especially gained popularity taking photographs of locally and nationally famous baseball players at Katy Ballpark in the 1910s. 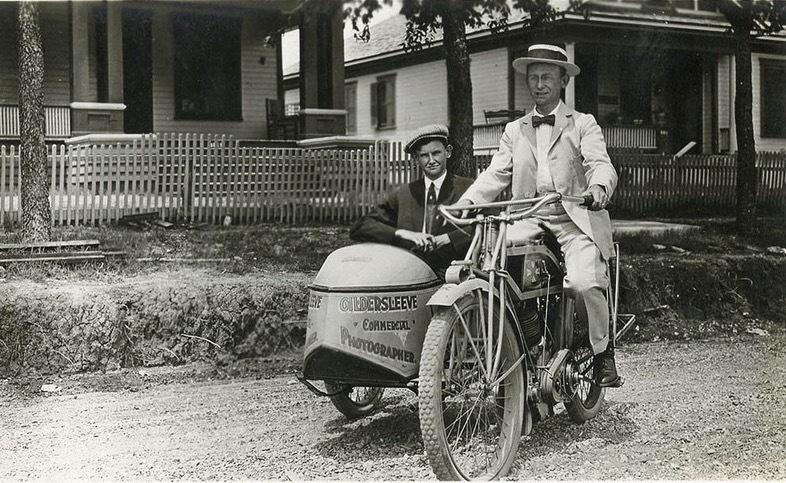 Often working with his assistant Herbert Guinn, Gildersleeve rode through the city on an Excelsior motorcycle to photograph interesting things around town. The people of Waco came to call him “Gildy” during this time. 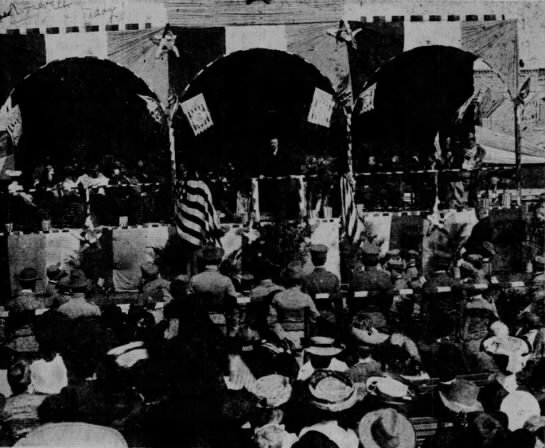 In 1909, Teddy Roosevelt visited Waco after a San Antonio reunion of the Rough Riders and gave a speech at the train stop. Gildersleeve took up a friend on a bet that he wouldn’t scream at the President so he hollered, “SHOW YOUR TEETH, TEDDY!” Not only did he get his twenty dollars but Roosevelt laughed and responded, “Bring him up here. I want to shake that young man’s hand.” Two years later, Gildersleeve snapped a series of photographs when Roosevelt again visited Waco. 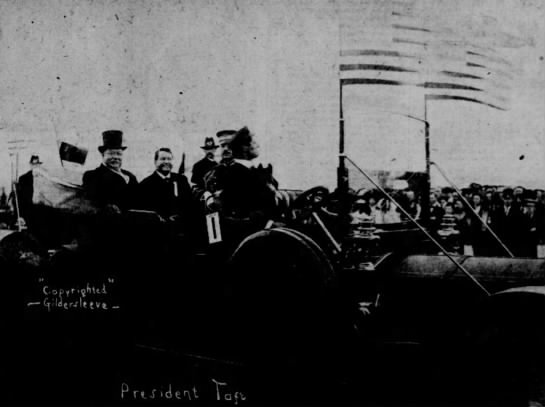 In 1920, Gildy also got some photographs of President William Howard Taft visiting to receive an honorary degree at Baylor. By the end of his career, no less than eight presidents had had their photo taken by Gildy. 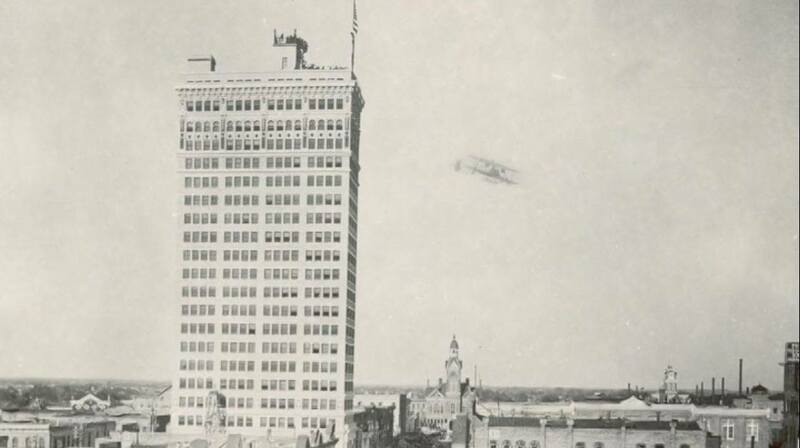 His most famous photograph of the ALICO building came in 1911 and showed it being circled in flight by legendary pilot Calbraith Perry Rodgers during what proved to be the first successful transcontinental flight across America. A few years later, Gildy created a 12-foot wide printed photo of the Cotton Palace. It was the world’s largest photograph to date and traveled to exhibits across the United States. In 1914, Gildersleeve captured the first Texas photograph taken from a plane. On May 15, 1916, Gildy was witness and photographer to one of humanity’s most infamous and horrific moments when Jesse Washington was brutally attacked and lynched by many citizens of Waco. It became known as the :Waco Horror.” Gildersleeve’s photographs of the event took the nation by storm and inspired W.E.B. Dubois to lead a new movement which resulted in the creation of the N.A.A.C.P. In 1918, Gildersleeve acquired a patent for an actuating mechanism in film cameras, proving he was not limited to still photography. On June 25, 1918, he was initiated as a Mason at Waco Lodge. In 1922, he was on hand to photograph the tremendous oil well discovery in Mexia. In 1928, Gildy was hunting near the town of Leroy. He placed his gun on a wire fence to open the gate and when he picked it back up, the trigger caught on a wire. The gun fired and completely blew off his right thumb. After receiving medical treatment, he was said to have explained that his biggest regret was that he had suffered the injury before bagging his hunting limit. Throughout his life, he was an avid outdoorsman and thrillseeker. When he wasn’t taking photographs, he was racing motorcycles or cars, hunting, or fishing. As a leader of several Anglers’ Clubs, Gildersleeve caught a number of record fish in the 30s and 40s. In the mid 30s, he represented the state of Texas at a series of national conferences geared towards establishing federal regulation through President Franklin Roosevelt’s NRA to assure fair trade practices in the photographers’ industry. Later in his career, hundreds or thousands of acetate negatives belonging to Gildersleeve were lost during the process of a bitter divorce with his wife of thirty years. One story said that she threw them into the alley by their house in a fit over his infidelity or drunken behavior. Whatever the case, the damage was done as an enormous portion of his life’s work spanning from the 1930s to 1950 was lost forever. Though his health began to fail in the 1950s, Gildersleeve continued working as the oldest commercial photographer in Texas. Roger Conger developed a close friendship with Gildy during the 50s. The two had met in the 1910s when Roger was still a boy and Gildy came out to the Conger home in China Spring to take family photos. So many years later, Conger paid frequent visits to the old photographer bringing him beer and cigarettes, even taking the time to cut the old man’s hair to boost his spirits. Fred Gildersleeve died on February 26, 1958. He willed more than 1,400 photographs to Conger who later donated Gildersleeve’s work to the Texas Collection at Baylor University. 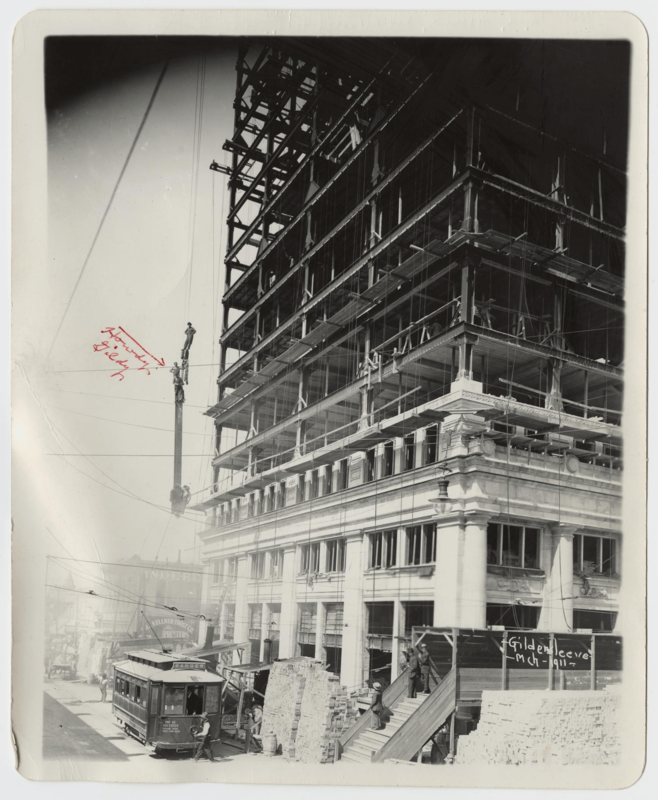 In truth, the above account only provides a small percentage of the highlights throughout Gildersleeve’s groundbreaking career as a photographer. 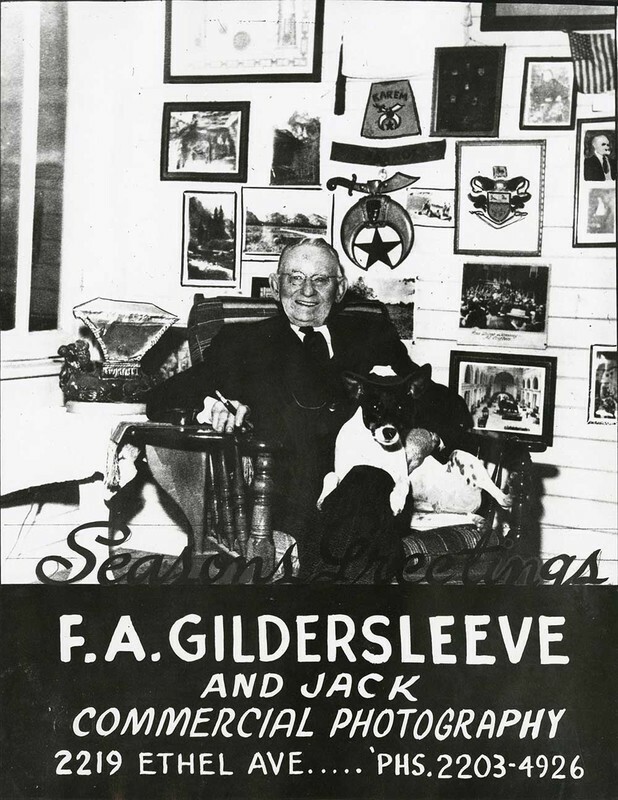 Recently, a book of some of Gildersleeve’s best photographs was published by the Texas Collection. Check it out by clicking here.